Ascending Butterfly: Are You Recycling Your Electronics? We can all get a bit 'leaner' and 'greener'! Are You Recycling Your Electronics? We can all get a bit 'leaner' and 'greener'! I am a Spring Baby and with the end of Daylight Savings Time coming soon, and signs of Spring popping up everywhere, my mind is on Spring Cleaning, the closet purging that will make room for some fun summer fashions, and a purge of a very different kind as well. An 'electronics purge'. I don't know about you but there are old phones, TV's and other outdated tech that I have been meaning to get rid of, but it has piled up. With some of it, (many of you I am sure can relate to this), I kept as a 'backup'. (Especially with some of the phones). But I've never touched those backups and in some cases have gone on to newer technology well past their immediate replacements. As a renter, space is at a premium and there isn't really the luxury of allowing outdated items to pile up. I've been actively trying to switch over to all Energy Star Certified Products and get a bit 'greener', which in turn helps you get 'leaner' as Energy Star Certified Products all save you money in the long run! With my schedule, I need Recycling to be simple and easy and with my budget, I definitely need it to NOT be a burden. So how do you do something good for the environment AND you? I'm so glad you asked! 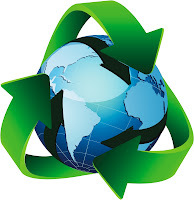 Ƹ̵̡Ӝ̵̨̄Ʒ - No matter where you bought or how old it is, Best Buy will recycle it! Ƹ̵̡Ӝ̵̨̄Ʒ - Best Buy recycles 387 pounds of electronics each minute their stores are open! Ƹ̵̡Ӝ̵̨̄Ʒ - Best Buy will recycle any eligible item at no charge. Ƹ̵̡Ӝ̵̨̄Ʒ - Recycling Kiosks - Every US and Puerto Rico Best Buy store has free kiosks, just inside the door, for you to drop off ink and toner cartridges, rechargeable batteries, wires, cords and cables. Ƹ̵̡Ӝ̵̨̄Ʒ - Appliance and TV Haul-Away — Best Buy will remove an appliance or TV free of charge from a customer's home when a new product is purchased and delivered by Best Buy Home Delivery. Ƹ̵̡Ӝ̵̨̄Ʒ - Not ordering something from Best Buy right now, but would still like home pick up? Appliance and TV Pickup - For $100, Best Buy will arrange a home visit to remove up to two appliances or TVs for recycling. For more than two units, add $20 per additional unit. Ƹ̵̡Ӝ̵̨̄Ʒ - Want a Gift Card? - Trade-In @ Best Buy - You can visit wwww.bestbuy.com/tradein to trade-in select gently used electronics for a Best Buy gift card. You can Recycle free of charge or even trade in and get a gift card so you can upgrade your technology, what's NOT to love? Turn your old technology into that new iPad or Tablet you've been wanting! Turn some outdated stuff into a brand new GPS for this summer's road trips, the possibilities are endless, and with the old stuff NOT polluting our landfills and getting re-purposed, you are doing something for the environment, something for you and getting something great in return! GO FOR IT! Have you tried Best Buy Electronics Recycling Yet? If so, what product(s) did you recycle? Did you Trade In or use the in store kiosk? Don't forget to let Best Buy know you saw the Electronics Recycling Program featured on Ascending Butterfly! FTC Disclosure: I am a Best Buy WOLF program Blogger, you can also visit the WOLF program on Facebook and Twitter. I will receive a Best Buy Gift Card for sharing about the Recycling Program, however all opinions are 100% my own. This program offers additional incentives for participation. But you can best believe I reduce, re-use and recycle! Go Green! WOW! Food for thought.This is the time I start my spring cleaning but I never thought of all my old electronics cluttering up the house and closets.Best Buy sounds like just thing I need.You always bring us great ideas ty! I have been meaning to go through all my old electronics and recycle them! This is so helpful! @moo77hb - Keep us posted if you decide to recycle any of them at Best Buy!